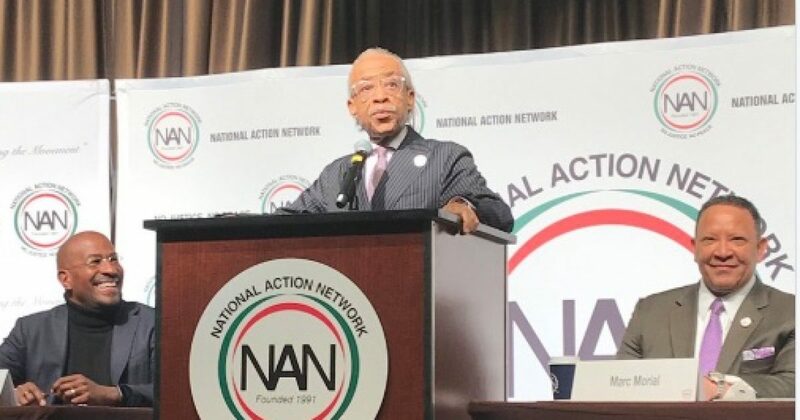 Democrat 2020 presidential candidates backed a reparations effort at Al Sharpton’s National Action Network conference. Many of the Democrats running for the party’s nomination to run against President Trump in 2020 attended the conference run by Sharpton. In addition to backing progressive policy ideas, many of the 2020 hopefuls voiced support for legislation that would establish a commission to study reparations. The legislation was introduced by Texas Democrat Representative Shelia Jackson Lee. Lee issued a press release on her idea for legislation for a Commission to Consider Reparations Proposals for Africans-Americans. California Democrat Senator Kamala Harris did not address the reparations legislation in her speech but backed the measure in response to a question from Sharpton. “When I am elected president I will sign that bill,” Harris told Sharpton. Former Colorado Democrat Governor John Hickenlooper and Massachusetts Democrat Senator Elizabeth Warren also backed the reparations legislation. Reparations was a key issue at Sharpton’s meeting and was addressed by Democrats not running for president. Suddenly, support for reparations is a litmus test for Democrats especially those running for president. The black vote is very important in the upcoming Democrat primaries and the candidates don’t want to be on record as being against reparations and have Sharpton as a political adversary.